I first would like to commend Mr. Lee Martin for his writing abilities and skill. 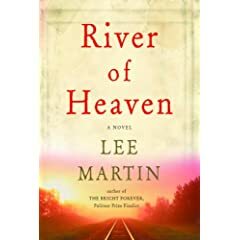 Whenever I first began this book and learned that the main character -Sam- was an elderly homosexual, I thought – there is no way I am going to get into this book—- But as I got past the first chapter and began to visualize what I was reading, I had a hard time putting this book down. The story revolves around secrets, the fact of Sam’s homosexuality is a secret, and the secret he has carried with him since he was a teenager-this secret has to do with his best friend’s death. The characters in this book are so believable, I felt as if I actually knew them. I enjoyed this book and would give it 3 stars. It is a good read, and a fast read.